The Federal Housing Administration (FHA) has issued a new mortgagee letter offering policy guidance on practices concerning the use of Third Party Verification (TPV) services as an alternative for authenticating employment, income or assets of potential borrowers. 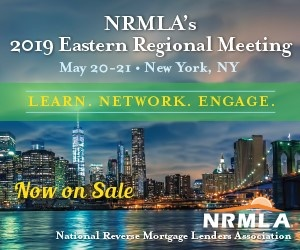 In Mortgagee Letter 19-01, released by the agency on Friday, FHA revises documentation requirements for the financial assessment of prospective borrowers and allow the use of vendors to verify information directly with the borrowers’ employers or financial institutions. Additional documentation will no longer be required. FHA notes that this is effective immediately, and applies to all FHA Title II forward and reverse mortgages. “The mortgagee remains responsible for the quality of its FHA-insured mortgages and must ensure that its TPV vendors fully comply with all applicable laws and FHA requirements,” the agency notes in the letter’s accompanying press release. While FHA previously allowed for electronic financial verifications in lieu of written/paper verifications of employment (VOEs) or verifications of deposit (VODs), there previously existed no specific guidance on the use of third party services designed to verify this specific information. FHA notes that it also requires current employment income to be documented by acquiring paystubs of prospective borrowers, along with obtaining VOEs or alternative employment documentation (such as a W-2). Read the full text of Mortgagee Letter 2019-01.